Action figure design is getting eerily good thanks to facial scanners and 3D printers. 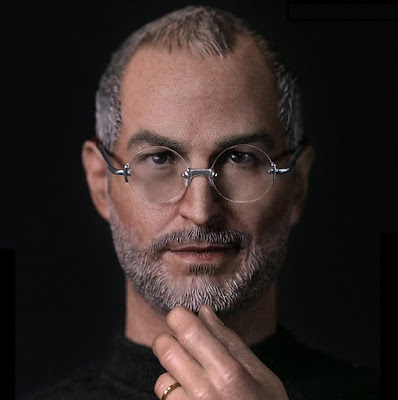 However, a creepy use of that technology is creating a figure in the likeness of a real person who is dead - a person who wasn't a fantasy character, but rather a businessman. 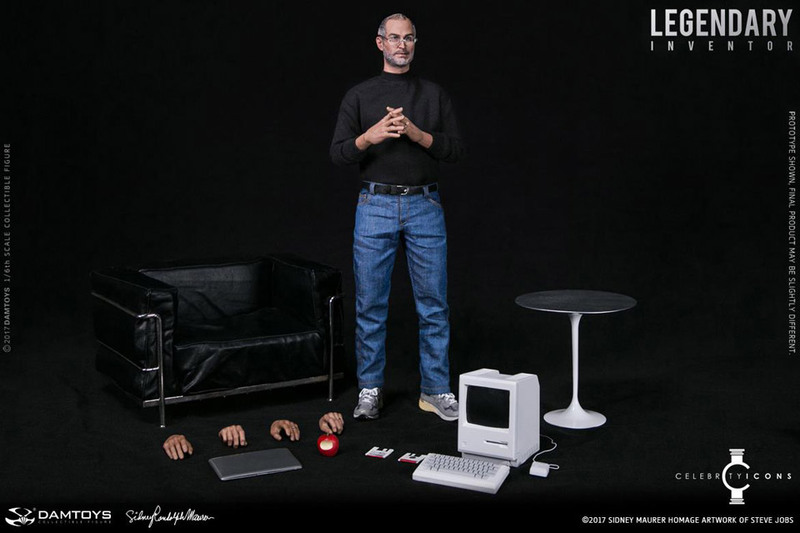 Stare in wonder at the Steve Jobs action figure. 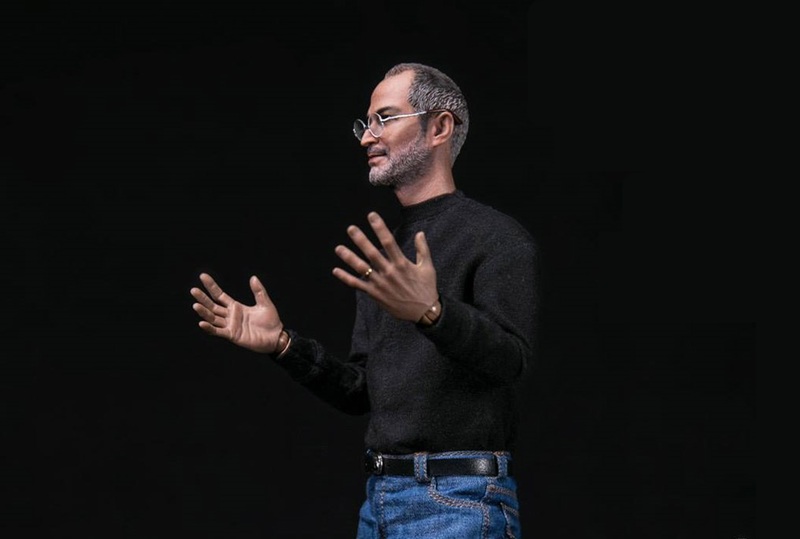 Made by Taiwanese toymaker DamToys, this 12 inch figure depicts Jobs as he appeared in 2008, not long after the launch of the first iPhone, and three years prior to his death. The accuracy in the facial mould is disconcerting to say the least, with just enough uncanny valley to creep you out. 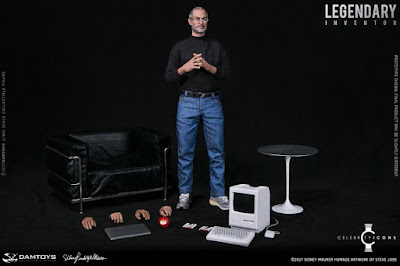 'Little Steve' comes with a decent array of accessories, too, including changes of hands, a MacBook laptop, an original Macintosh, and an apple, obviously. You can stand him up or sit him in the included chair next to the table. Hours of fun for the kids! 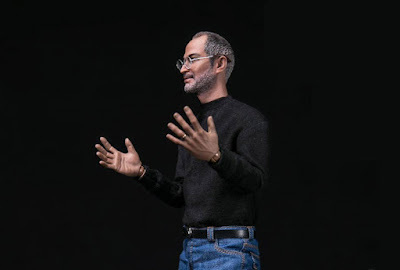 To be fair to DamToys, they've done a hell of a 'job' (tee hee) with this, and we especially love the texture in the jeans. Why you would want this sitting on your shelf, we don't know. Having said that, if they made a figure Elon Musk, we'd probably buy that. Whatevs.